This jewel of an apartment’s swanky, tasteful décor speaks of chic urban comfort while modern convenience is La Tour Maubourg. You may never want to leave the house, but this is Paris, and you may be tempted outside from time to time. A deluxe living room has a crystal chandelier twinkling above a parquet floor and silk-upholstered chairs and curtains. Living like a real Parisian in a typical neighborhood in a charming apartment with all the amenities and comforts you're used to at home. The apartment is positioned as a high-end luxury product to sleep 4-6 people – very comfortably and the property has been furnished accordingly. Beds include 2 King-Size beds and one Queen which also separates into 2 singles. This excellent central location offers every convenience at your doorstep like supermarket, bakeries, fruit markets, wine shops, fine restaurants, trendy bars, cafe, delicatessen. 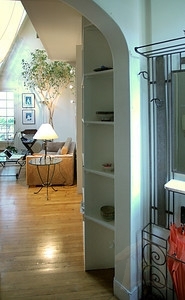 La Tour Maubourg vacation rental rates $2600 per week. Rates are subject to change without notice. Bookings are made on a first-come-first-served basis. In order to secure your reservation, we normally ask for: A lease to be signed by the renter. 50% deposit to be paid at booking date to confirm your reservation. The balance is due 60 days prior to arrival date. For bookings that are less than 60 days from arrival date, 100% of the rental cost is to be paid upfront. If paying by wire transfer, booking option will be maintained for a period of 5 days from date of signing the lease. If paying by credit card, the option period is 24 hours. Bookings will not be confirmed until your payment has been received. Once the funds are in the bank, we will confirm it’s receipt by email and you will get full instructions and information pertinent to the apartment and your booking (address, keys, etc.). A damage/security credit card authorization is also due at the same time as the balance, or 60 days before the arrival date (or at booking time if the arrival date is in less than 60 days). We reserves the right to charge renter to cover additional cleaning costs if the renter leaves the property in an unacceptable condition. One of our staff will meet you at your arrival and will invite you to inspect your Paris apartment. If you notice anything irregular, please report it within 24 hours. 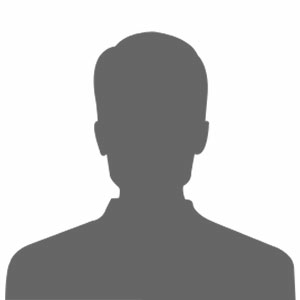 100% if cancellation is notified during the 30 days before the start of rental period. Travel insurance with a trip cancellation clause for your paris apartment in Paris is strongly recommended, but not an obligation, at the time of booking. The all-important trip cancellation feature protects all of us from the downside of an unanticipated change of plans. You\'ll be paying for your Paris apartment rental many weeks/months in advance and, given the vagaries of health, it\'s in your best interest to be compensated if you need to cancel your vacation plans at the last minute. Any delays or variations are possible, but they must be communicated to Paris Pied-a-Terre and agreed to in writing at least 48 hours before arrival. Arrival times to your Paris apartment: 4 p.m., unless otherwise agreed. Departure times to your Paris apartment: before 11 a.m., unless otherwise agreed. Early check-ins: Should you arrive during house cleaning and maintenance (11 a.m. to 4.p.m. ), you are welcome to leave your luggage or hang around, but you’ll have to deal with the noise and disturbance. Should you arrive before 11 a.m. and the apartment is still occupied, our staff will assist you in storing your luggage until check-in time while you go for a walk or breakfast. Late check-ins (after 7PM): We will do our best to meet you when you arrive. If for any reason you should arrive late and we don’t have someone to meet you, we will leave you instructions on how to get in. Whatever happens, though, there’s always an emergency telephone number to call. Late check-outs: Our staff will help you store your luggage until you are ready to leave. More flexibility is tolerated should the apartment be free before or after your rental period. Renter must call our designated staff 30 minutes before their pending arrival to the apartment so someone will be waiting to help with the luggage and do the apartment inspection. This is very important for both renter, and our staff so they don’t have to wait on the street for nothing. 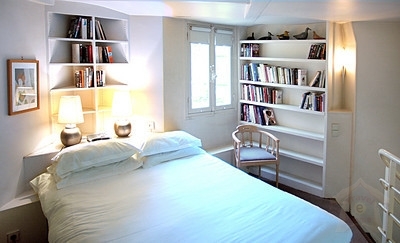 The photos of our Paris apartments for rent, including those featured on our Paris apartments for rent website and the photo galleries, and other promotional materials present a good-faith representation of the property and accurately reflect, in all material respects, the furnishings, character and condition of the property. 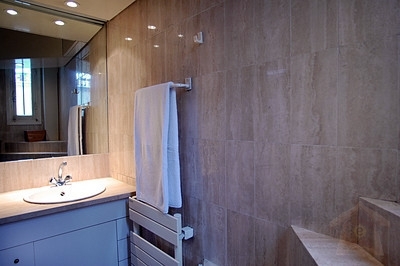 Client further acknowledges and agrees, however, that we are frequently upgrading, improving and renovating our Paris apartments for rent, and that the actual furnishings in place at the properties during the client’s rental period may differ from those displayed in the photos as of the date of your Rental Agreement. 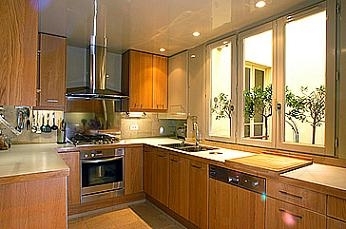 Appliances in our Paris apartments for rent are generally kept in good functioning condition. However, mechanical failures can and will occur, like in any home. We will do our best to repair or replace the broken appliance, but we will not be held responsible for this. Intermediate and end-of-stay cleaning, as well as occasional tidying up sessions will be scheduled for each stay. However, guests are expected to leave the property in the same general condition and repair as the day they arrive. Any apartment left in an unusually dirty state will be subjected to an additional cleaning charge (and guests will be placed on our blacklist!). Occasionally, Paris Pied-à-Terre needs to show the property to potential clients. Renter agrees to allow such visits, provided he/she is informed at least 24 hours in advance and during tidy-up sessions (see below). Many of you are not used to living in small quarters like most Parisians do nor in old buildings with thin floors and walls or as many neighbors. The following are basic, common sense rules that all Parisians abide by. Since being a foreigner and a passing visitor has given our French neighbors ground for complaining more than necessary, you are expected to do at least as much. Keep those decibels low! Avoid making a lot of noise or speaking out loud or shouting (the same applies to TV or music), especially at night (legally, after 11PM) or early in the morning on Saturdays and Sundays until noon (most Parisians sleep late on Sunday morning). If you have to wake up at dawn to catch a plane, try and pack the night before and leave your luggage by the door. Whatever you decide to do, though, not roll your luggage on the floor or in the common areas. We are all lucky that elevators even exist in old buildings. The downside is that they are fragile creatures and you’ll have to handle them with care. French elevators are all equipped with sliding intermediary doors, so whatever you do, do not block them or pack the elevator with too much luggage that might block them. Please take your shoes off in the apartment or use slippers. No running is allowed for children. Children are welcome in our properties. However, it is the responsibility of our guests to make sure that they do not cause any damage (no jumping on the furniture or shoes on the couch!) and to respect the tranquility of the neighbors. We recommend that you cover couches and armchairs, if need be. To this effect, we will be happy to provide extra sheets, free of charge. Our prices include a full set of linens and towels for each person, end-of-stay cleaning, intermediate cleaning when applicable, miscellaneous adjustments and number of people. 5 night minimum.